Altera Wealth Management is a boutique wealth management practice at Morgan Stanley. 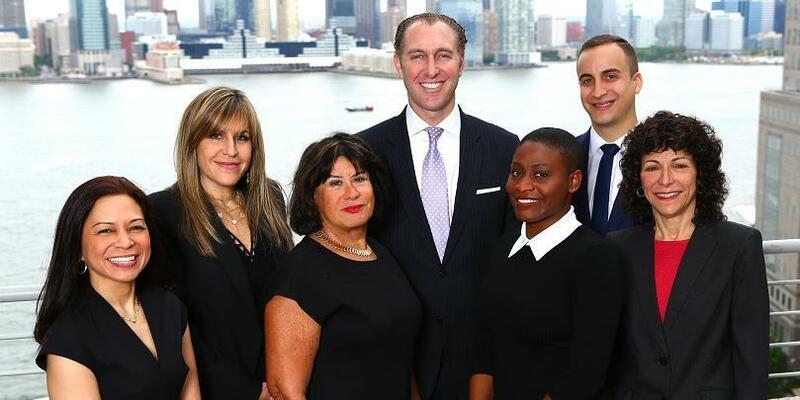 Our team began 13 years ago with the philosophy of providing holistic advice to help our clients to define their financial objectives and to structure their investments and liabilities to achieve their investment, wealth transfer and philanthropic goals. We deliver the full range of family office services within the confines of a highly respected global organization. Our focus is working with multi-generational high net worth families and foundations who value close relationships with seasoned advisors. The Altera Wealth Management Partners draw on a wide array of backgrounds from institutional investment management, multi–family office experience, private banking, portfolio construction, asset allocation and accounting and tax knowledge. We work in close coordination with our clients and their trusted advisors to develop a wealth plan that serves as a blueprint for achieving financial goals. Taking into account short and long term financial objectives, we adhere to the tenets of strategic and tactical asset allocation and diversification. We strive to deliver risk-adjusted market returns using the open-architecture available on the Morgan Stanley platform. Through diversification, we aim to combine multiple asset classes to create portfolios that target a given rate of return with lower risk than could otherwise be achieved through any of the component asset classes. While we take a very disciplined approach to investment management, we also focus on the overlay of consistent tax planning with a keen focus on after-tax returns. We are dedicated to delivering exceptional advice and personalized service. Every sports and entertainment profession is unique with its own characteristics, earnings profile and variable career span. You require a Financial Advisor who knows the industry and how money flows from your work to your wallet. Our Financial Advisors are Sports and Entertainment Directors, chosen for their advanced experience working within very specific fields. They understand the total financial picture and craft creative financial strategies that account for the unique challenges and dynamics of our clients’ careers. You have that something extra, the star quality, the intangibles that put you on top in fiercely competitive industries. You already have the vision but you may need the plan. Your distinct needs inspired the creation of Morgan Stanley Global Sports & Entertainment. Robin Krasny has over 35 years of financial market experience. She worked in institutional sales in fixed-income markets principally with Morgan Stanley in both New York and London and later in emerging market equities for Oppenheimer and Co.
At the beginning of 2000, Robin changed careers and began working in Wealth Management. In 2004 she joined with Mark Lewis to form KL Wealth Management Group, the predecessor to Altera Wealth Management Group. Robin has experience across a broad range of markets and asset classes and concentrates on portfolio management with customized portfolios. While the cornerstone of the team’s approach is planning-based holistic wealth management services and individualized asset allocation seeking to achieve optimal results for clients, Robin’s knowledge and experience enable her to function with a Senior Portfolio Manager designation, she has developed stock specific, ETF and mutual fund portfolio management strategies to help to address a variety of client goals and objectives. The team utilizes a full range of investment products and asset classes from stock specific portfolios in separately managed accounts to accomplish client objectives and provide a complete range of wealth management services. As part of the KL wealth management, Robin Krasny and Mark Lewis joined Morgan Stanley in January 2011. She is a graduate of Princeton University and Harvard Business School. 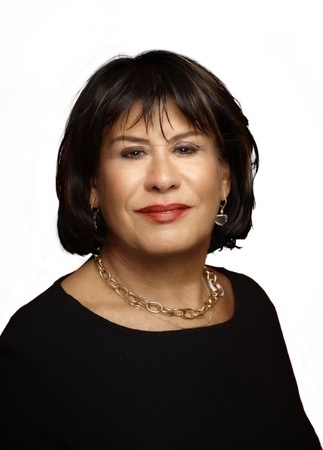 Robin is active in a number of not-for-profit organizations as a board member for Prep for Prep, Jazz at Lincoln Center and the Women in Leadership initiative at Princeton University. She is an avid annual attendee of the New Orleans Jazz and Heritage Festival and maintains homes in New York City and Dunewood, Fire Island. For the past five years she has been recognized by Barron’s magazine as a top 100 female financial advisor. Mark began his career as a financial analyst and portfolio accountant for CMS Financial Services (now Convergent Wealth Advisors) in the late-90’s. 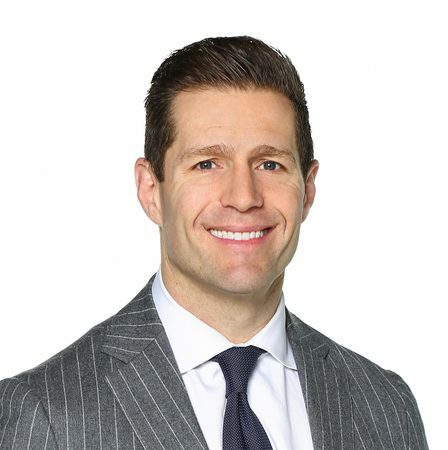 Mark then left the Washington, D.C. area to work for CIBC Oppenheimer at the World Financial Center in 2000 before eventually moving to Paine Webber (acquired by UBS) in 2001. After a decade at UBS, Mark and KL Wealth Management Group chose to move their practice to Morgan Stanley. This move offered the team more flexibility in product, an upgrade in technology & platforms, and the ability to pass-on cost savings directly to their clients. Mark concentrates his efforts on working with a broad range of fee-based investment consulting and managed account programs to help meet the needs of high net-worth individuals and institutions. Using his knowledge from his previous analyst position, he provides analysis to help define individual and institutional goals and risk tolerance, which are then matched with the appropriate investment vehicles and platforms. Mark’s leads the team’s due diligence on all third-party money managers, mutual funds, alternative investments and exchange-traded funds. Mark is also responsible for heading the team’s estate planning effort with his ability to leverage skills gained at UBS. Mark graduated from The American University in Washington, D.C. with a B.S. in Business Administration with a concentration in Finance. In 2006, Mark co-headed a team selected to serve the NYC Bar Association’s membership as their exclusive financial services provider. Mark plays an active role in his community, sitting on the Manhattan Leadership Council of The American Cancer Society – Eastern Division. He is on the host committee of the “Festive in Flip Flops” gala in the Hamptons and is also consistently a Pacesetter in the “Making Strides Against Breast Cancer” walk in Central Park. Mark is also involved with the Prep for Prep charity and hiring summer interns from their program. Currently, Mark lives in New York City with his wife Sara, son Dylan and daughter Sloane. 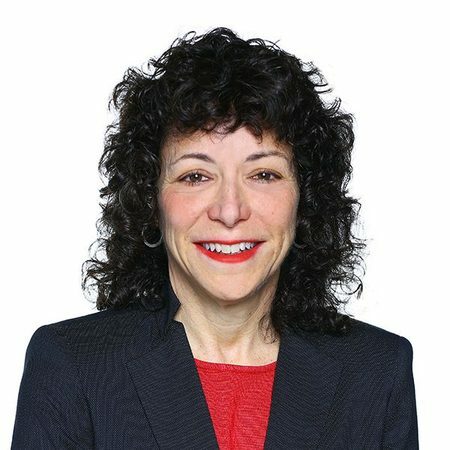 Jill Schildkraut-Katz, Managing Director and Financial Advisor, is a member of the Altera Wealth Management Group at Morgan Stanley. Jill manages wealth for high-net worth individuals, families and non-profits to help achieve their investment, wealth transfer and philanthropic objectives. She also works with private business owners on pre-transaction planning and financial professionals on strategies to complement their core business exposure. Jill strategically advises clients on investments, lending solutions and estate planning strategies. Prior to joining Morgan Stanley in 2017, Jill spent 7 years as a Senior Advisor at J.P. Morgan in the Private Bank and served as a Team Lead. With over 25 years of experience working in Private Wealth and Investment Banking, Jill has worked in both New York and London. Prior to joining J.P. Morgan, Jill spent over 13 years at Merrill Lynch. Most recently she lead a global capital markets solutions group where she specialized in structuring tax efficient hybrid capital and preferred securities, pre-funded capital and cross-border tax structures, with an emphasis on raising regulatory and rating agency capital for financial institutions and corporate issuers globally. Jill was appointed to Merrill Lynch’s Diversity & Inclusion Counsel. She was a founding member and Co-Head of the Global Markets and Investment Banking Women’s Leadership Counsel and a recipient of the Leadership in Diversity award. 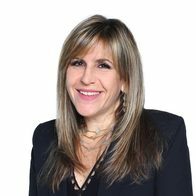 She is a member of the Stephen Wise Free Synagogue Board of Trustees, the UJA Women’s Executive Circle and the Feminist Institute Advisory Board. She is a two time Sleep Out participant to raise money and awareness for Covenant House. Jill graduated from The University of Michigan Ross School of Business with a BBA in Finance and The Wharton School at the University of Pennsylvania with an MBA in Finance. Jill lives in New York City with her husband Steve and their two children. Marcia Cohen joined the KL Wealth Management Group (the predecessor to Altera Wealth Management Group) at Morgan Stanley in February of 2012. She leads the team’s financial planning efforts acting as a personal chief financial officer for clients. Marcia plays the “quarterback” and often gets the first call from a client when there is a change in their financial situation. She focuses on: Financial Planning, Retirement Planning, Investment Tax Planning, Tax Loss Harvesting, Asset Allocation, Private Equity, Insurance Reviews and Acting as a liaison with client's CPAs and Attorneys. Marcia has more than 30 years of experience working with clients. 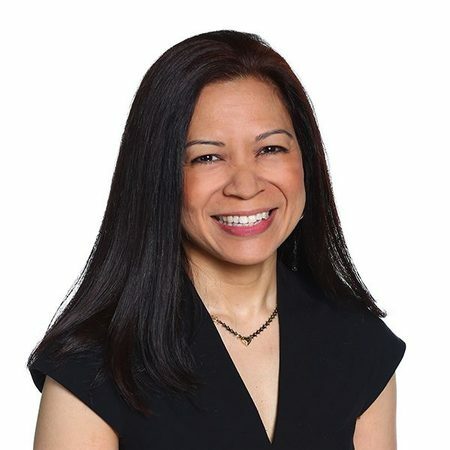 Prior to joining Morgan Stanley, Marcia was a Partner at Geller & Company, a financial advisory firm that provides wealth management and family office services as well as outsourced CFO, accounting and tax services. Her clients included Fortune 50 Multinationals, emerging businesses, middle-market companies, private equity investors, ultra high net-worth individuals, sports, entertainment and philanthropic enterprises. Marcia started her career working for Coopers & Lybrand and Salomon Brothers. She is a former CPA* and a member of the AICPA and the NY State Society of CPA’s. Marcia is also a CERTIFIED FINANCIAL PLANNER (CFP) and holds a BS in Accounting from the University of Delaware. Marcia served as Treasurer and a member of the Board of Directors for the Susan G. Komen for the Cure, Central and South Jersey Affiliate for 6 years. She was also a member of the Board of Directors for Transport Group, a non-profit, off-Broadway theatre company in New York City for 7 years. Marcia is currently a member of the Estate Planning Council of New York City and she serves on the Family Office Committee of the New York State Society of CPAs. Marcia currently resides with her husband Roy in New Jersey. Kerner joined Altera Wealth Management at Morgan Stanley following nearly two decades of experience in financial services. Kerner began his career in Institutional Sales at KeyBanc in 2000, advising many of the Firm’s largest clients on investment ideas. As a result of his success, he was named the youngest Director in KeyBanc’s history and selected to lead their Hedge Fund and REIT sector sales initiatives. In 2010, Kerner was honored as Salesperson of the Year and promoted to Managing Director. After an accomplished ten year career in equities, Kerner co-founded financial technology platform DISCERN with several Lehman Brothers alumni who foresaw Wall Street’s increasing focus on data. At DISCERN, he served as Chief Revenue Officer, managing all sales and marketing activities, establishing strategic partnerships and collaborating with clients at the executive and portfolio manager levels. Under his leadership, 7 of the 10 largest investment managers became subscribers and the Company completed a $7mm Series A funding in 2015. Kerner graduated from Cornell University with a B.S. in Applied Economics, Management and Marketing. As a competitive swimmer, Kerner was an NCAA Division I EISL finalist at Cornell and High School All-American at Phillips Exeter Academy. Outside of his day job, you can probably find him at his local gym, trying to reverse the aging process, or training Brazilian Jiu-Jitsu with his teammates at Renzo Gracie NYC. He resides in Manhattan with his girlfriend, Jessica. Rachel is the Wealth Management Associate for Altera Wealth Management Group (formerly KL Wealth Management Group). She has 14 years of experience in the financial services industry and has her Series 3, 7 and 66 licenses. Rachel began working with the KL Wealth Management Group at UBS Financial Services in March 2008 and moved with the team to Morgan Stanley in January 2011. Prior to working at UBS, Rachel worked at Oppenheimer as a Registered Sales Assistant for 4 years. She helps provide operational and client service support including new accounts, account transfers, foreign currency transactions, managed account operations and credit line accounts. Rachel graduated from Bernard M. Baruch College with a BBA in Finance. She currently lives in Queens, NY and has two children, Matthew and Amia. Noel is a Wealth Management Associate for the Altera Wealth Management Group. He has over 20 years of experience in the financial services industry and is Series 7, 63 and 66 registered. He joined Morgan Stanley in August 2018 where he provides operational and client service support. Noel started his career at Merrill Lynch Consults in its institutional equity trading desk. He went on to join a team of institutional equity salespeople at SG Cowen that moved to CIBC Oppenheimer that went on to establish the equity sales group at Sterne Agee & Leach. Noel then switched to investment advisory by joining Wells Fargo Advisors as a Registered Client Associate in 2014. Formerly from the West Coast, he graduated from the University of California at Berkeley with a Bachelor of Arts degree in Legal Studies. During his free time, he participates in endurance sports such as marathons, bike tours, triathlons, including the Ironman. David is the analyst for Altera Wealth Management Group (formerly KL Wealth Management Group). 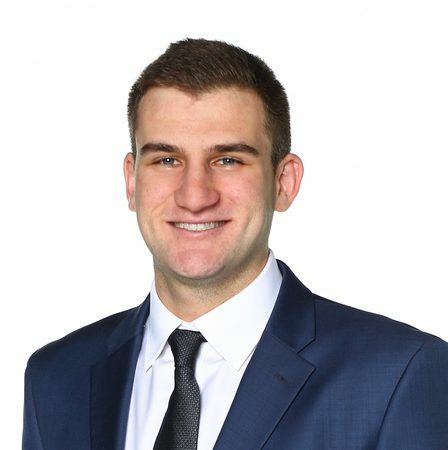 He graduated from the University of Maryland’s Robert H. Smith Schools of Business in 2013 and has been with Altera Wealth Management Group since 2016. He holds his Series 7 and 66 licenses. 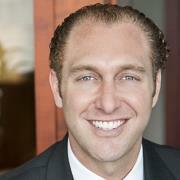 Prior to working at Morgan Stanley, David worked at Wells Fargo Advisors as a Registered Client Associate for 2 years. 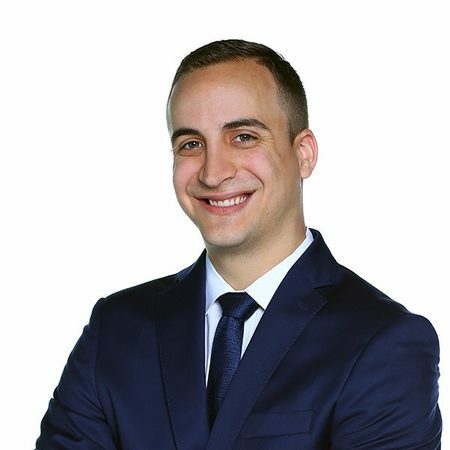 David provides analytical support to the team by monitoring market conditions, maintaining investment models, and reviewing client allocations. Originally a New Jersey native, David lives in Murray Hill, Manhattan. Ben is a Client Service Associate for Altera Wealth Management Group. He graduated with a B.S. in Finance from the University of Maryland’s Robert H. Smith School of Business. Prior to working at Morgan Stanley, Ben worked at Ipreo as a Senior Analyst where he supported investment relations teams of publicly traded companies. Ben holds his Series 7 license. He passed CFA Level I in December 2017. Originally from Mendham, New Jersey, Ben now lives in the Kips Bay area of Manhattan. In his free time he enjoys exercise, traveling, reading, and spending time with family and friends. He is an avid fan of the Mets, Knicks, and Giants.